His research interests include: attachment and emotion regulation across the life span and in various cultural and clinical groups; the neurobiology of parenting; correlates and consequences of child abuse and neglect; and family intervention. 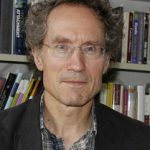 He has applied meta-analytic and IPD approaches to a range of topics in developmental psychology and psychopathology, and is interested in the sociology and history of attachment theory. Thijssen, S., Muetzel, R. L., Bakermans-Kranenburg, M. J., Jaddoe, V. W. V., Tiemeier, H., Verhulst, F. C., White, T. & Van IJzendoorn, M. H. (2017). Insensitive parenting may accelerate the development of the amygdala-medial prefrontal cortex circuit. Development and Psychopathology 29(2), 505-18. Bakermans-Kranenburg, M. J. & van IJzendoorn, M. H. (2017). Protective parenting: neurobiological and behavioral dimensions. Current Opinion in Psychology 15, 45-9. Tran, N. K., Alink, L. R. A., Van Berkel, S. R. & Van IJzendoorn, M. H. (2017). Child maltreatment in Vietnam: Prevalence and cross-cultural comparison. Journal of Aggression Maltreatment & Trauma 26(3), 211-30. Mileva-Seitz, V. R., Bakermans-Kranenburg, M. J. & Van IJzendoorn, M. H. (2016). Genetic mechanisms of parenting. Hormones and Behavior, 77, 211-23. Riem, M. M. E., Bakermans-Kranenburg, M. J. 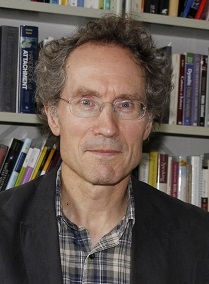 & Van IJzendoorn, M. H. (2016). Intranasal administration of oxytocin modulates behavioral and amygdala responses to infant crying in females with insecure attachment representations. Attachment & Human Development, 18(3), 213-34. Verhage, M. L., Schuengel, C., Madigan, S., Fearon, R. M. P., Oosterman, M., Cassibba, R., Bakermans-Kranenburg, M. J. & Van IJzendoorn, M. H. (2016). Narrowing the transmission gap: A synthesis of three decades of research on intergenerational transmission of attachment. Psychological Bulletin, 142(4), 337-66.